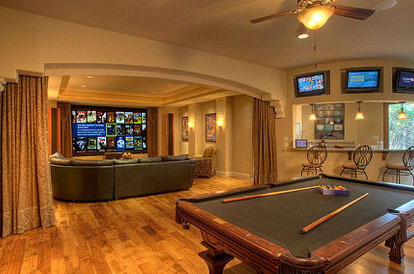 This list of luscious leisure rooms was compiled by Home Leisure Direct – suppliers of home gaming entertainment and items, including American and English pool tables, football tables and arcade machines. 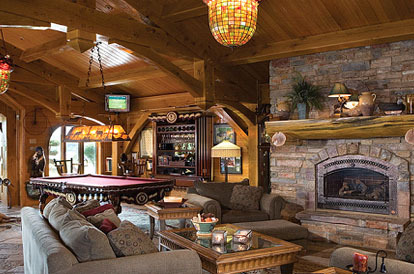 While a few couches and home entertainment system usually make up the living space for the standard home, those humble pleasures simply aren’t enough for others. 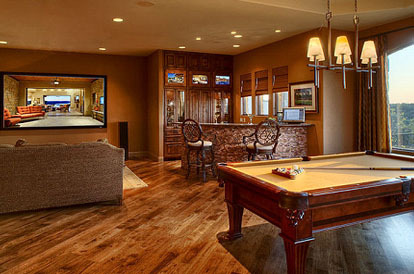 For many years people around the world, with a taste for innovation and home leisure, have been customizing their own relaxation stations for pure, hard earned enjoyment. Whether it be the need for a pool table, a cocktail bar, the ultimate home cinema, or a room perfectly tailored for social interaction; the room of leisure is quintessential in making your home… home. With a luxurious white sofa and a state-of-the-art hot tub the room has plenty of class and is wonderfully quaint with its very own palm tree. 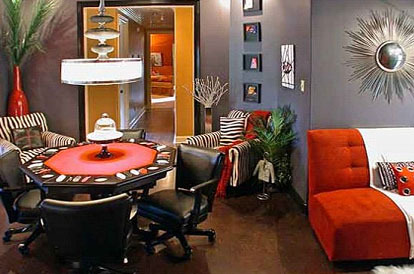 This bright and colourful room is perfectly complimented by a rather swanky looking circular table and chairs. The lilac carpet adds a touch of class and adds to the modern theme throughout. 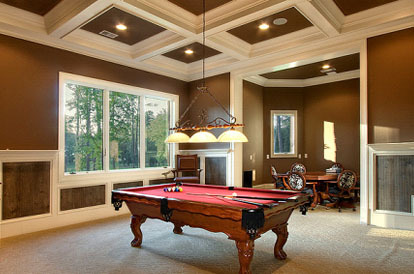 Grand and incredibly impressive, this games room is lit up by a spectacular chandelier which hangs from the tall ceiling. Casting light over the exquisite wall art, the room looks warm and inviting complete with high-quality chairs and stylish curtains. 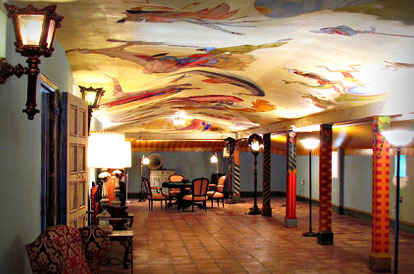 Wonderfully artistic, this room comes complete with a beautifully painted ceiling and wonderfully jazzed-up pillars. 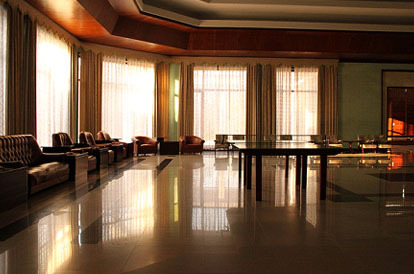 With a tiled floor and old-fashioned lighting, it is a chill-out-space like no other. Contemporary in style this black and white themed-room looks like the perfect retreat. 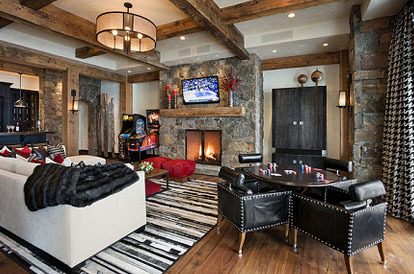 Warmed with a fire and with fabulous facilities, this games room would be great in any house. Extremely modern, this room boasts a bright colour scheme with a bright orange sofa and table, perfectly complimented by orange cushions and a throw. 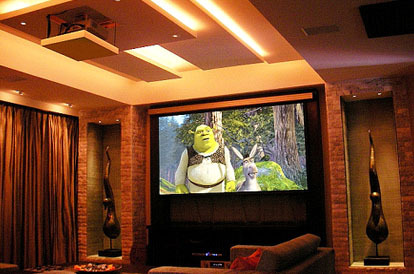 Low hanging lights and a variety of art work gives this room a real contemporary feel. 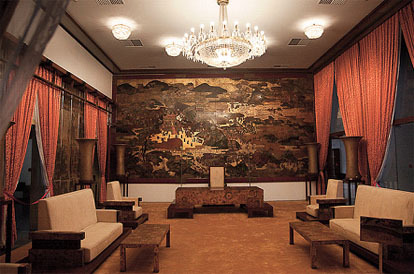 With a number of armchairs centered around a tiger rug, this room has a real old-fashioned air about it. 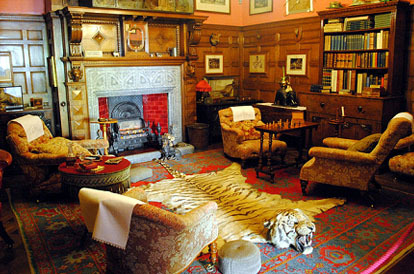 A grand fireplace with a foxes head next to it captures the eye as does the splendid and ornate bookshelf on the right. Extremely spacious with a high ceiling this room boasts a shiny marble floor and plenty of seating space – great for entertaining. 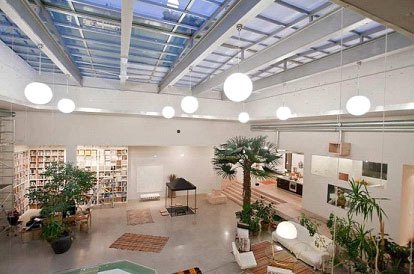 Rather grand in design, this is a room of two halves. 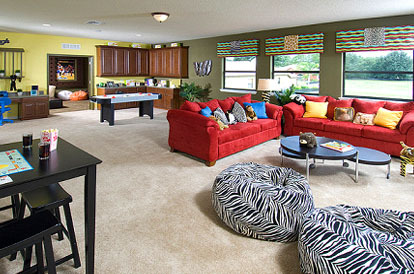 With a comfy seating area on one side and a pool table on the other, it is the perfect place to invite guests. 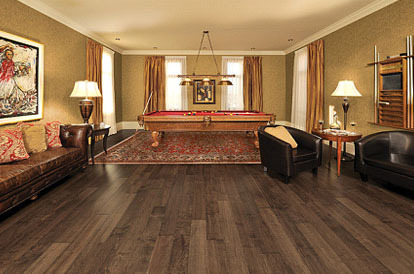 A pool table is the focal point of this long room which is quaintly decorated with a dark wooden floor. 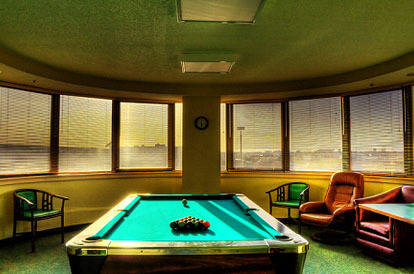 Table football, a pool table and a darts board, provide entertainment for both resident and guest. 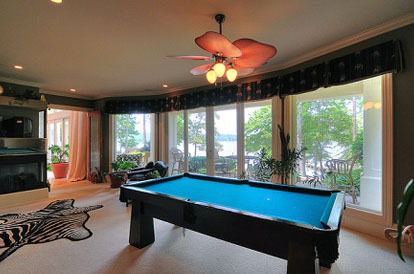 The grandeur of the pool table really catches the eye in this quaint little retreat. An array of drinking glasses match the brightly coloured walls in what is essentially a wonderfully modern relaxation area. 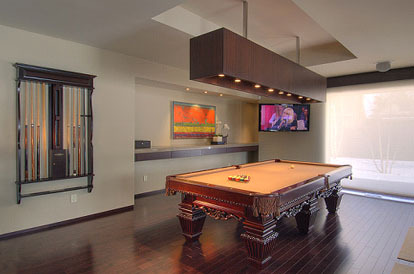 A wide screen TV and snooker table perfectly compliments the modern interior of this games room. 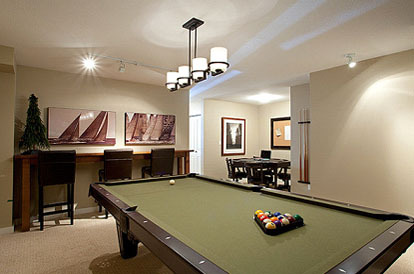 Fairly simple took look at, but with a host of top quality facilities, this games room is ideal for families. Luxurious and spacious, this room has all you would need for a night in including plenty of seating area and room to use Wi-Fi. 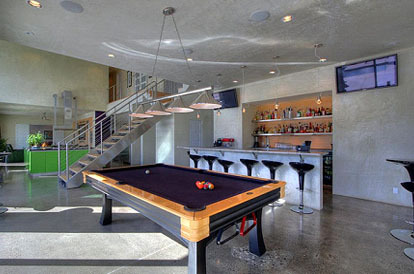 Futuristic in style, this room come complete with a host of mod cons and even boasts its very own bar area. 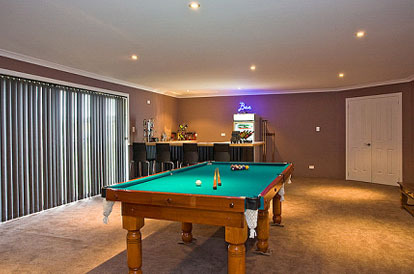 The snooker table is definitely the focal point here, ideal for avid fans of the game. 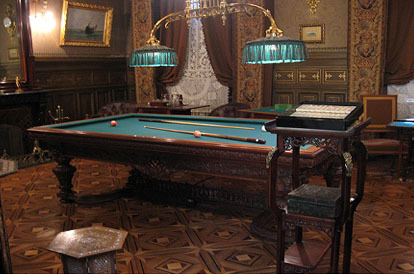 It’s debatable as to what catches your eye first – the swanky snooker table or the rather unique rug on the carpet. 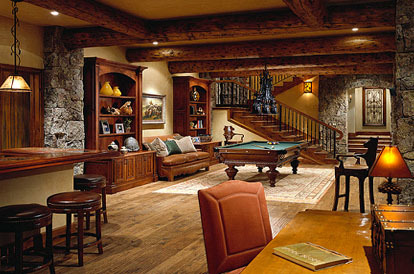 Grand display cabinets and stunning wooden stairs really add a style and class to this lavish room. Decorated with exquisite wall paintings, an unusual floor and impressive art work this room is unique in style. 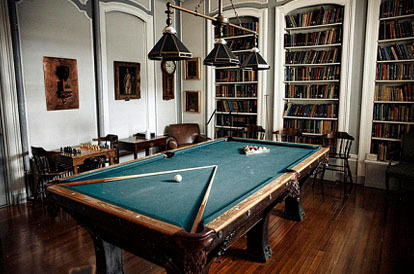 The grand bookshelves look stylish and against the white walls and wooden floor here. 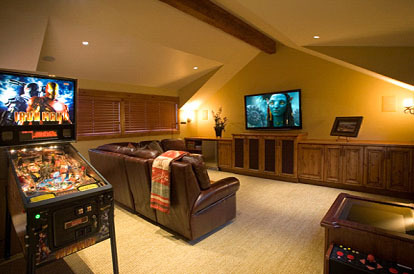 Boasting a simple yet effective design this games room looks both comfortable and elegant. 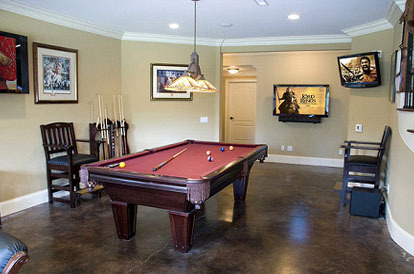 Wonderful art work graces the walls in this small, but quaint games room. Utterly luxurious this room has a cinema-style relaxation area as well as space for playing snooker and watching TV. Perfect. 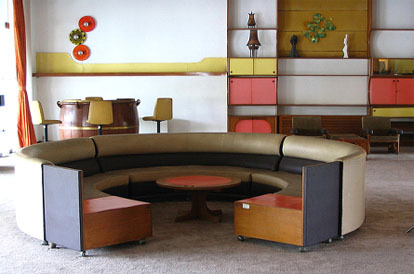 A real chill out space, this room even has a bar complete with its very own neon sign. 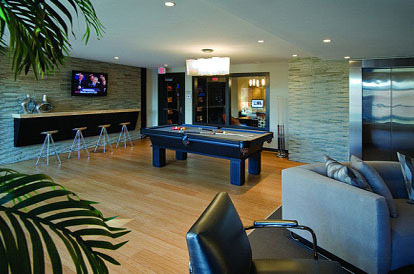 Elegantly designed, with modern lighting, this games room is certainly rather inviting. 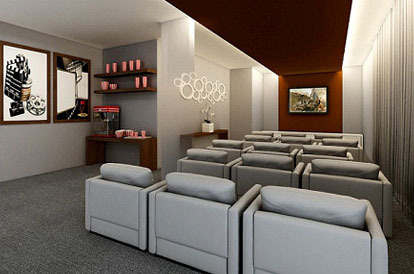 This fabulous cinema room boasts luxurious leather chairs which even have their own drinks holders. 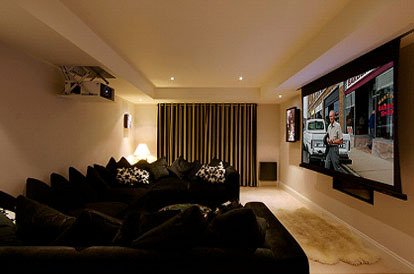 Decorated in warming tones, this room looks extremely cosy and offers a great place to watch your favourite movie. 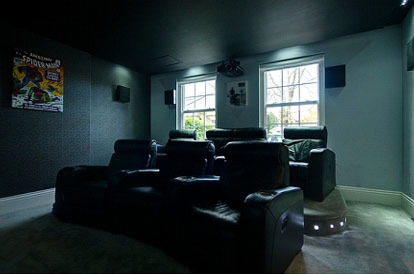 Simple in design, this cinema room is an awesome retreat after a hard day. 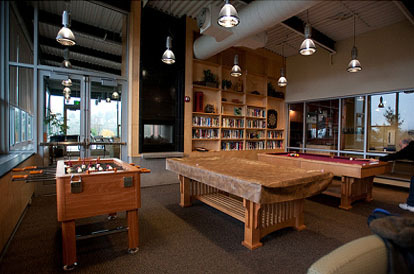 A leather couch and simple décor compliment this well-equipped games room perfectly. 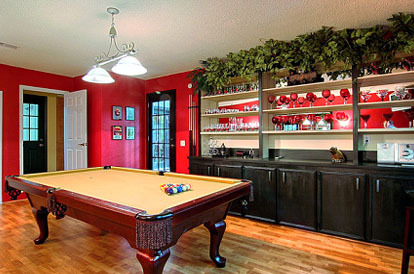 The red and black theme really livens up this swanky-looking games room. 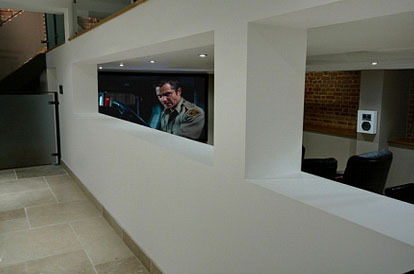 A cinema room with style, complete with its very own popcorn maker. 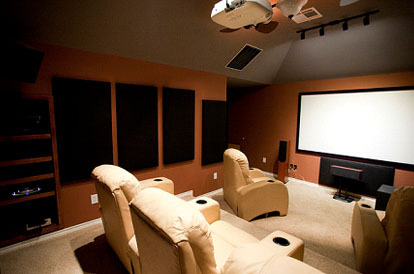 Large black sofas with plenty of cushions offer a comfortable place to sit and unwind with a movie. 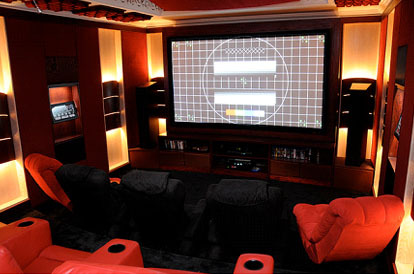 The warm colours and soft lighting are ideal for this super modern cinema room. This room is Kuwait City, Kuwait.